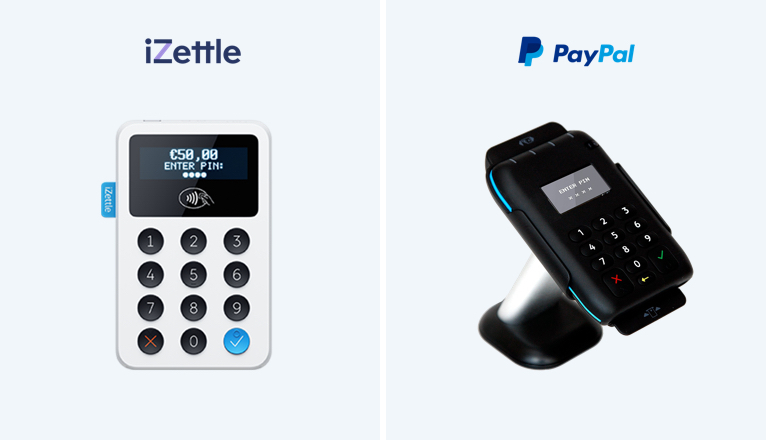 2019 iZettle vs PayPal Here: Which one should I use? This comparison is a bit of a strange one because PayPal actually acquired iZettle in 2018 for a cool $2.2 billion. Despite this, PayPal intends to continue running the two mobile card reader as separate entities. With the potential to join forces as a superpower on the mobile payment processing market, iZettle and PayPal Here remain in competition with one another. 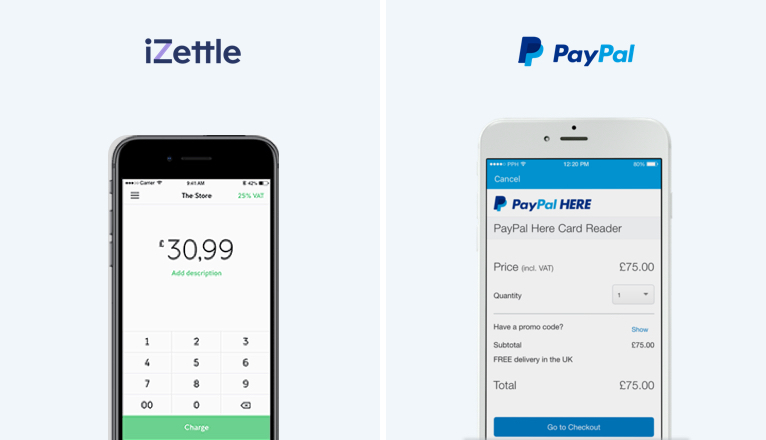 Who wins in the iZettle vs PayPal Here rivalry? Today I’m going to base my comparison on their product range, card reader and app usability, fee structure, settlement speed, security, and customer support. 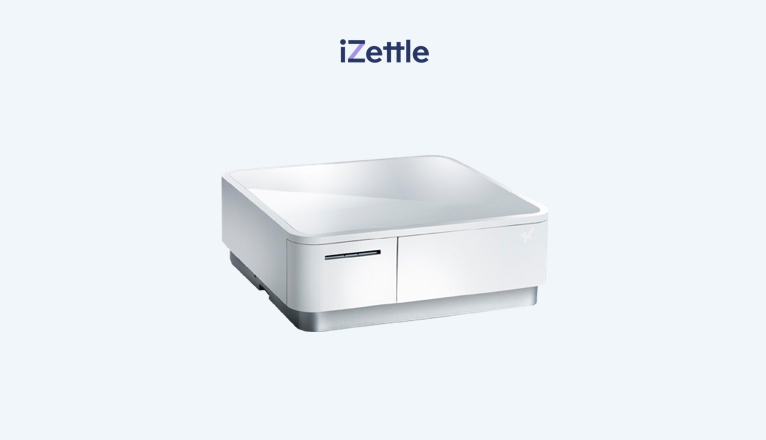 iZettle comes from Sweden and entered the UK market in 2010. They’re one of the biggest players in the mobile card payments market and are often referred to as the “European Square”. Their compact and sophisticated card reader and corresponding free point of sale app boast a wealth of user-friendly features. With extensive payment options, inventory management tools, and reporting capability, they have all bases covered. Their fee structure is straightforward, with no monthly costs, and they accept card transactions from all major card types as well as providing support for Apple Pay, Android Pay, and Samsung Pay. PayPal Here joined the market even later in 2012, but already have their established presence in the online payments division to rest on. Their card reader is a bit outdated in comparison to iZettle but still works well. The POS app is easy to navigate and includes features like invoicing, product inventory building, and support for multiple user accounts. At a glance, their fee structure is quite clumsy and requires merchants to do a bit of research to work out what plan is best for them, if any. There are no monthly fees and they can support most major credit and debit card types. Which has the best product offering? iZettle was initially geared towards very small businesses. They decided to capitalise on their success and brought out a new range of products to assert themselves as serious contenders in the card payment processing market. Card Reader: iZettle use the iZettle Reader 2, available in both black and white, with or without a matching dock. It’s one of the more advanced on the market, perfect for carrying out your everyday transactions. 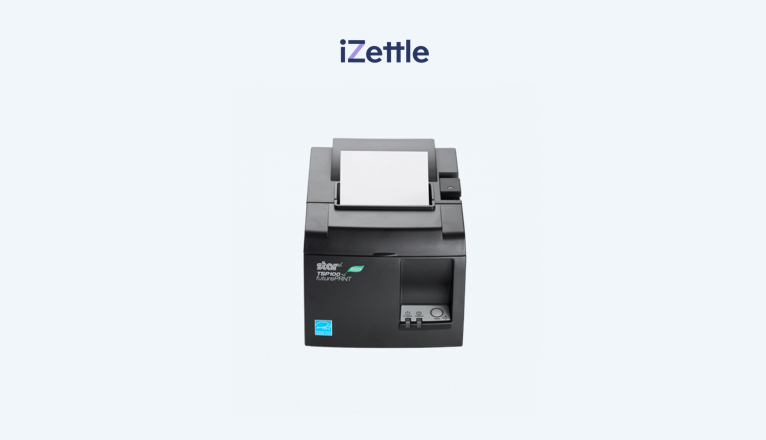 Receipt Printers: iZettle receipt printers range in price from £189 to £319 and easily connect to your credit card machine via Bluetooth or Wi-Fi. Stands: Amp up your professional appeal with a stand or cradle for your tablet, iPad, or card reader. Cash Drawer: Keep your cash payments secure in a cash drawer, with optional cash drawer wrap for a sleeker aesthetic. Store Kits: An all-in-one solution which includes most of the above. Basic kits begin at £259 and shoot up to £729 for more comprehensive retail kits. How does PayPal Here compete with this extensive offering? POStoGo: This is an impressive POS system which bundles together a 10.1″ tablet, stand, cash drawer, barcode scanner, and your card reader. It’s a hefty investment at £958.80 including VAT! Bouncepad: A snazzy stand that makes it easy to swivel your iPad to face the customer. Complete Cab Bundle: Taxi drivers (but nobody else) can rejoice with PayPal Here’s solution for cab payments. The solution includes in-car holders and receipt printers to help cater to the growing number of cashless riders. Both iZettle and PayPal Here offer extensive add-on products but picking a winner for this category is quite subjective. 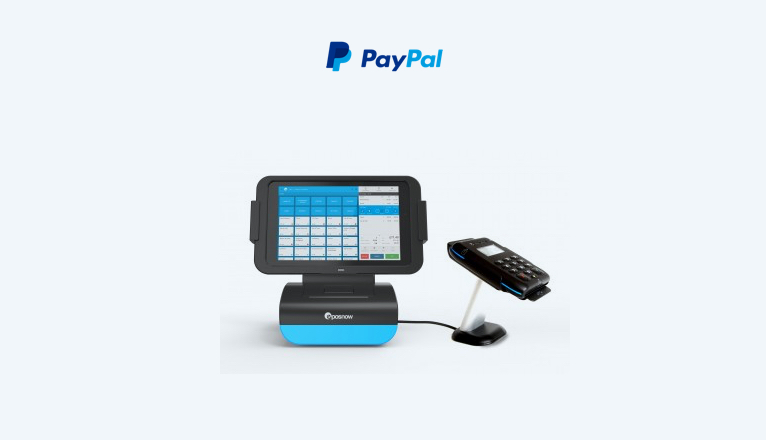 In terms of cost, iZettle is cheaper for equal functionality, but PayPal Here does have a couple of unique offerings that may appeal to you. Which card reader is easiest to use? iZettle upgraded their card reader in June 2016, ditching their former third-party Miura M010 reader. The new iZettle Reader 2 is compact and stylish and very simple to use. Customers can use chip & PIN or contactless payments, but not magnetic strip payments. The iZettle mobile card reader works with all major credit and debit cards, including Mastercard, Visa, Maestro, American Express (Amex), Union Pay, V Pay, JCB, and Diners Club. Apple Pay, Google Pay, and Samsung Pay. Alternatively, PayPal Here’s card reader pales in comparison. PayPal Here use the Miura M010 reader and, to be honest, it isn’t the prettiest. It’s a bit chunky and clunky, garnering a lot of negative attention from critics. There are, however, no major functionality issues with the device and it served iZettle well for many years. Again, all major credit and debit cards are accepted, with the exception that it doesn’t support Samsung Pay. It’s really down to aesthetics and how eager you are to get your hands on the absolute latest technology. If I had to pick one, I’d opt for the iZettle Reader 2. Which POS app is better? Pulling the whole operation together is the point of sale app, so it’s pretty critical that this be a point of comparison. Both can be downloaded via the Google Play Store or the Apple App Store with great functionality on both Apple and Android devices, smartphone and tablets. The iZettle app interface is bright and clean and easy to use. It has a whole host of features to streamline transactions. You can set up a customisable product library with photographs, descriptions, and different price points. The point of sale app also has fantastic reporting functionality, breaking down your sales reports into different periods. PayPal Here’s pos app is a little less jazzy looking, adopting their usual blue and white colour palette. In terms of functionality, it is similar to iZettle but really stands out with its offer of 200 separate user accounts at no extra cost. If you’re an existing PayPal user, you can connect your PayPal account with the app to combine your online and in-person sales with no extra hassle. Overall, both pos systems are great. 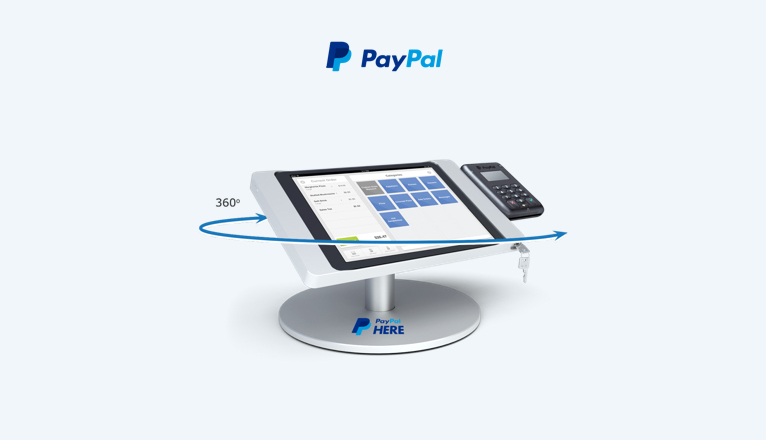 iZettle is more visually appealing and PayPal is well-suited for those with multiple sales staff and who are already familiar with the PayPal platform. How do they compare price-wise? Neither iZettle or PayPal Here charge a monthly fee so cost comparison here is based on the price of the mobile card reader device cost and the transaction fees. 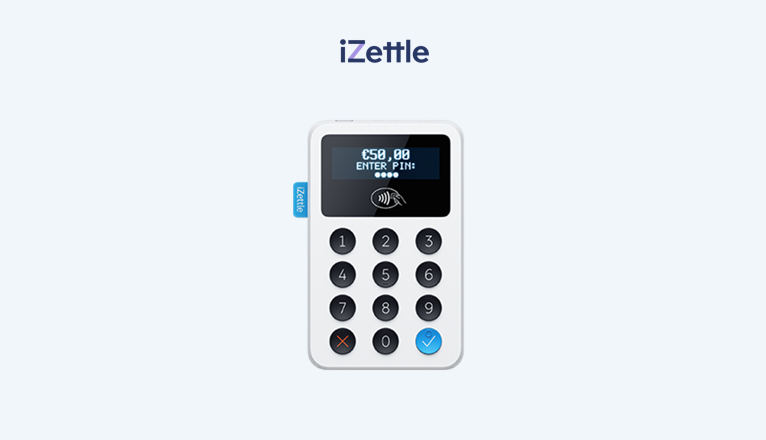 Normally, the iZettle card reader costs £59 but it’s currently discounted on their website for £29 (excluding VAT). With Cardswitcher’s affiliate link, you can squash that down to £25 (excluding VAT). The PayPal Here card reader costs an eye-watering £45 for a much older generation device. 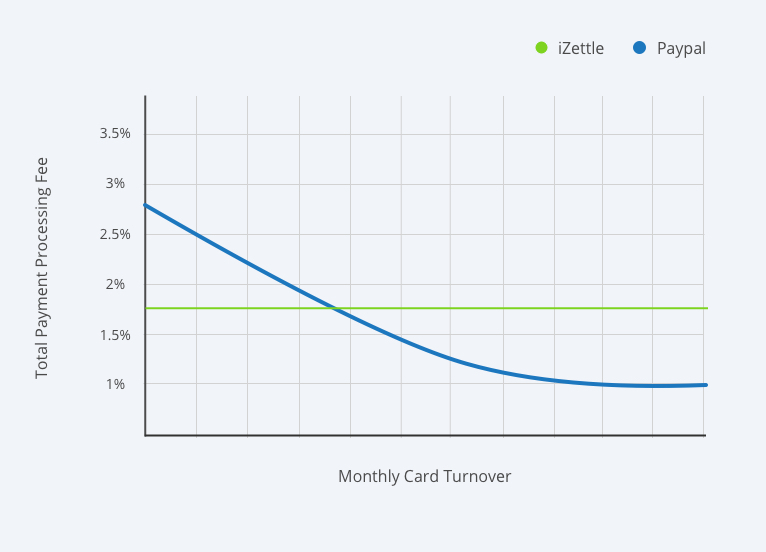 iZettle’s card reader wins hands-down in terms of price. Whilst at the non-discounted price it is dearer, it’s a more refined model. 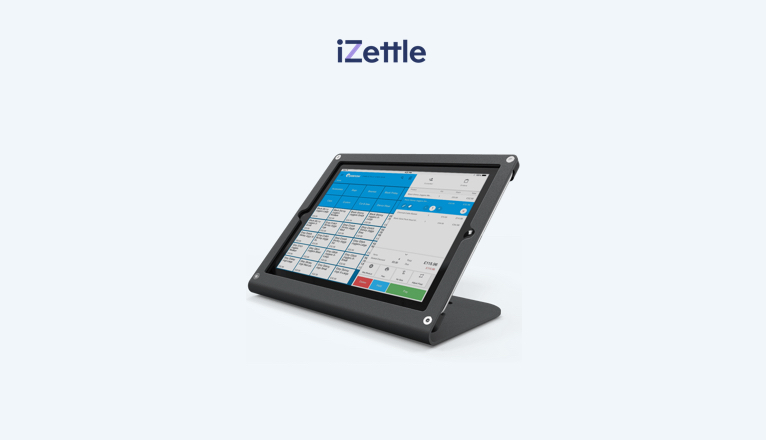 iZettle charge a flat fee of 1.75% per transaction regardless of your monthly turnover. PayPal Here has an awkward fee structure so bear with me while I try to break it all down. And to throw another spanner into the works, there are some more rules. Amex is always charged at 2.75%, no matter your turnover. Manual card entry and magnetic strip are 3.4% + 20p on the blended fee scale, and IC + 3.15% + 20p on Interchange Plus. With PayPal Here, your transaction fees can drop to a market-wide low of 1% if you earn £15,000 a month, so they certainly don’t favour small businesses. Merchants who make over £2,000 a month should really be looking at traditional rented terminals over mobile card readers, so this isn’t actually a great bonus. So, what does this all really mean? It’s hard to compare iZettle and PayPal Here in terms of pricing because their structures are so different but my vote goes to iZettle. It’s uncomplicated (like it should be) and the low rates for PayPal Here are only attainable by those who really shouldn’t be relying on a mobile card reader anyway. How quickly are funds deposited into my bank account? PayPal has the edge on this one. Typically, funds are deposited into your bank account within 2 business days with iZettle. With PayPal Here, payment into your PayPal account is practically instantaneous. If you wish to transfer it to your bank account, it can take a few hours to a couple of days. If having immediate payment is a priority for you, PayPal Here is your best option. Consumers are growing more accustomed to these mobile credit and debit card readers but security is still a concern. Good news comes from iZettle who seem to have thought of it all. They adhere to PCI PTS 4.1, the highest industry standard for hardware and software security. Security is not a matter they take lightly, so much so that their card readers are designed to self-destruct if someone tries to tamper with it. All card data is encrypted by HSMs and you’re covered for up to £250 in eligible chargebacks every month. 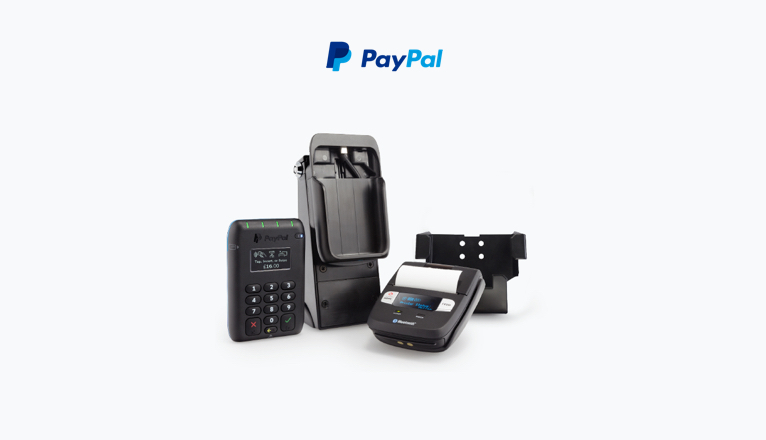 PayPal Here are also PCI-compliant and EMV-compliant. They offer end-to-end encryption and they have security specialists working around the clock on the lookout for anything fishy going on in your account. You should have no worries over security with either iZettle or PayPal Here, but I think that iZettle’s self-destruct capability gives it a real competitive edge. Which has the best customer support? If and when things go wrong, you need to know you have someone to turn to, to put it right or your whole livelihood could be at stake. iZettle customer service phone lines operate between 9am and 5pm Monday to Friday, and you can also raise a ticket via e-mail. If your issue isn’t urgent, they have a wealth of written resources on their support section to save you contacting them directly. PayPal Here, on the other hand, are not short of complaints about their customer service. Advisors often try to fob you off with their online support guides but these are already lacking in comparison to other market players. Their one saving grace is that their phone support operates extensive hours, 8am to 8:30pm Monday to Friday, 8am to 6:30pm Saturday and 9am to 6:30pm on Sundays. It’s just a shame that the advisors aren’t always the best at handling your queries and hold times can get very, very long. 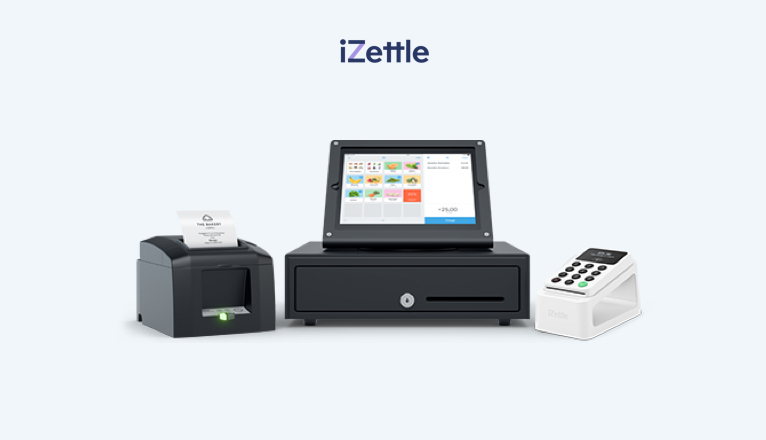 Without a shadow of a doubt, iZettle comes up trumps here. Even after acquiring iZettle, PayPal Here still falls behind. Both have extensive add-on product offerings and determining who is best here depends on the needs of your particular business. Taxi drivers might flock to PayPal Here but other merchants won’t be lured in by these packages. Both card readers have great functionality. The only complaints here are targeted at PayPal Here who use a much older model that iZettle have already rid themselves of. PayPal Here is incompatible with Samsung Pay, so if this is a concern of yours, iZettle are your best bet. Both POS apps are easy to use, but my personal preference is iZettle. It just looks a bit more inviting whereas PayPal Here’s has a very corporate, rigid feel to it. PayPal Here is the best option for businesses looking for multiple user capabilities and who already use a PayPal account for their business. PayPal Here has an awkward pricing structure and an expensive card reader given that it’s a generation behind iZettle. PayPal Here is a no-go for low volume merchants, and even high volume merchants would be best placed investing in a traditional rented terminal rather than the mobile device card reader. In terms of safety, both are incredibly secure so no complaints here! iZettle take their measures up a notch though with their tamper-proof design elements. With a confusing pricing structure and poor customer service, PayPal Here lags behind iZettle on the mobile card payment processing market. What do the industry experts say? Across the board, they are praised similarly, but direct from TrustPilot customers, PayPal Here falls on its face, most citing the lack of customer support as their downfall. PayPal Here is good if you use their eCommerce payment service already, but if it’s your first time venturing into the mobile payment processing market, iZettle is definitely for you. iZettle vs Square vs SumUp vs PayPal Here: Which Card Reader Is Best?